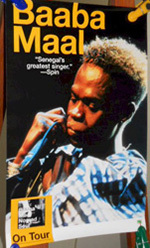 Description: Baaba Maal German Concert Poster. Size 24x34. Item in VG+ condition. Shipped Rolled. 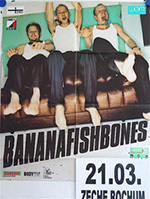 Description: 2003 Bananafishbones German Concert Poster. Size 24x34. Item in VG+ condition. Shipped Folded. 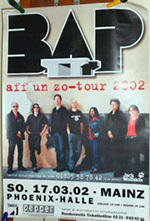 Description: 2002 BAP German Concert Poster. Size 24x34. Item in VG+ condition. Shipped Rolled. 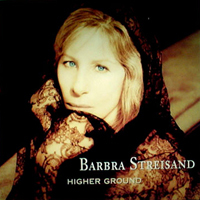 Description: Barbra Streisand Higher Ground Promo Transparent Vinyl Display For Lightbox. Size 12x12. Note: Item in mint condition. Rare! Description: Bauhaus 1998 Concert Poster. Size 16x19. Item in VG+ condition. 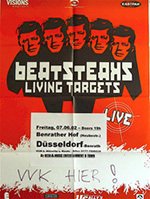 Description: 2002 Beat Steaks German Concert Poster. Size 24x34. Item in VG+ condition. Shipped Folded. 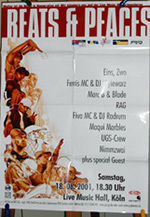 Description: 2001 Beats & Pieces German Concert Poster. Rags, Eins, Marc & Blades and more. Size 24x34. Item in VG+ condition. Shipped Folded. 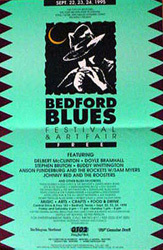 Description: 1995 Bedford Blues Poster. Size 11x17. Item in VG+ condition. Creased. 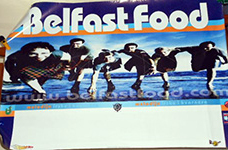 Description: Belfast Food German Concert Poster. Size 24x34. Item in VG+ condition. Shipped Rolled. 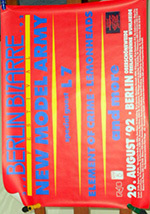 Description: 1992 Berlin Bizarre German Concert Poster. New Model Army, L7, Lemonheads. Size 24x34. Item in VG+ condition. Shipped Rolled. 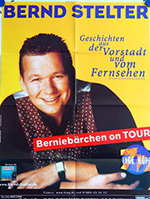 Description: 2000 Bernd Stelter German Concert Poster. Size 24x34. Item in VG+ condition. Shipped Folded. 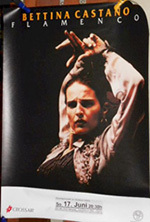 Description: 2001 Betina Castano German Concert Poster. Size 24x34. Item in VG+ condition. Shipped Rolled. 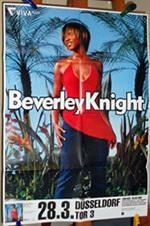 Description: 2002 Beverley Knight German Concert Poster. Size 24x34. Item in VG+ condition. Shipped Folded. 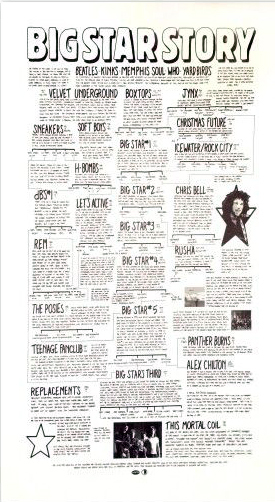 Description: Big Star Story Promo Posters. Size 24x34. Item in VG+ condition. 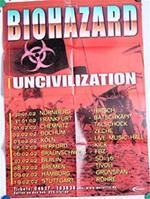 Description: 2002 Biohazard German Concert Poster. Size 24x34. Item in VG+ condition. Shipped Folded. 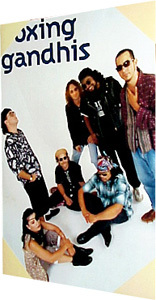 Description: Black Crowes 1989 Retail Posters. Size 24x34. Item in VG+ condition. 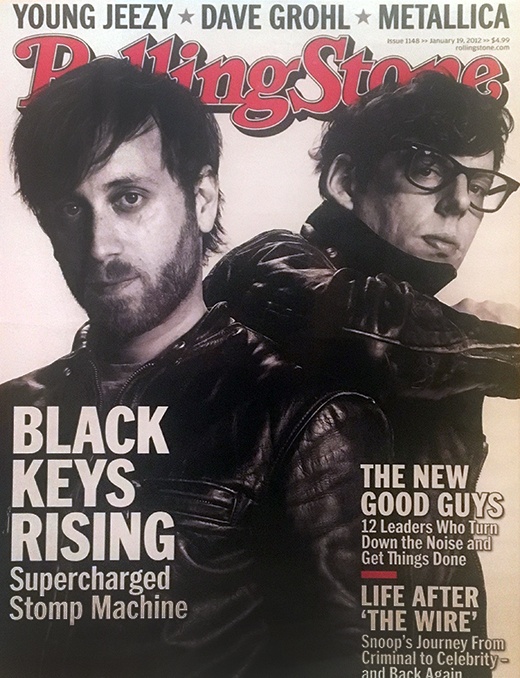 Description: Black Keys Rolling Stone Promo Posters. Size 24x34. Item in VG+ condition. 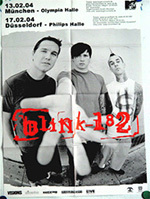 Description: 2002 Blink 182 German Concert Poster. Size 24x34. Item in VG+ condition. Shipped Folded. 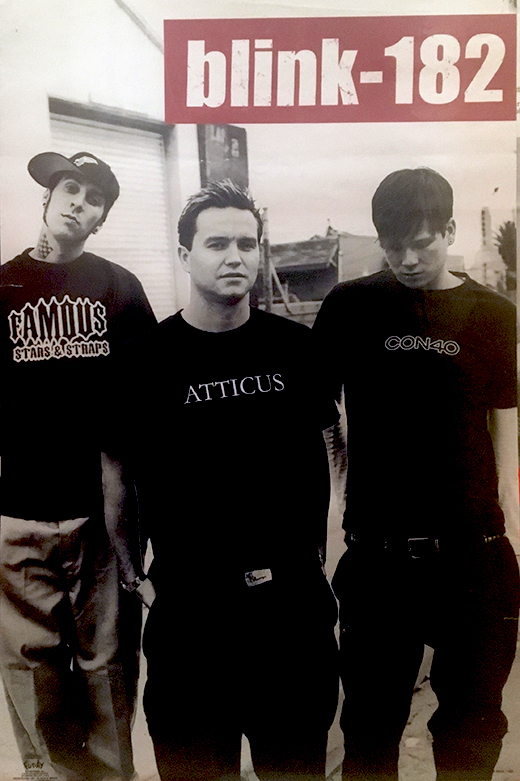 Description: 2002 Blink 182 Retail Poster. Size 24x34. Item in VG+ condition. 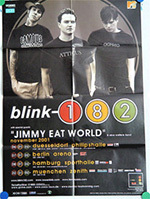 Description: 2004 Blink 182 German Concert Poster. Size 24x34. Item in VG+ condition. Shipped Folded. 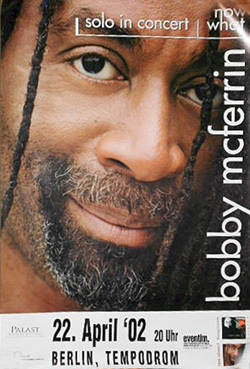 Description: Bobby McFerrin Berlin Germany 2002 Original Concert Poster. Size 24x36. Item in mint condition. 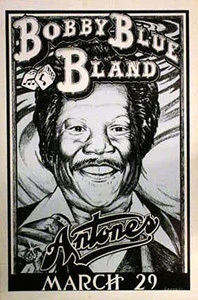 Description: Bobby Blues Bland Antone's Original Concert Poster. 2nd printing. Size 11x17. Item in mint condition. 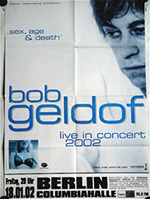 Description: 2002 Bob Geldof German Concert Poster. Size 24x34. Item in VG+ condition. Shipped Folded. 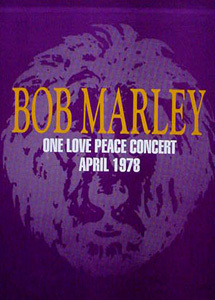 Description: Bob Marley Promo album release Poster. Size 18x24. Item in mint condition. 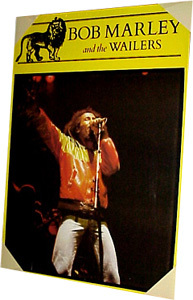 Description: Bob Marley & the Wailers Promo Poster. Size 22x28. Item in mint condition. 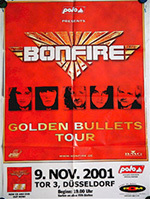 Description: 2001 Bonfire German Concert Poster. Size 24x34. Item in VG+ condition. Shipped Folded. 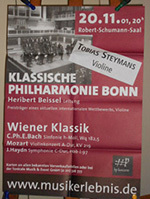 Description: 2001 Bonn Philharmonic German Concert Poster. Size 24x34. Item in VG+ condition. Shipped Folded. 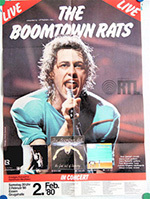 Description: 1980 The Boomtown Rats German Concert Poster. Size 24x34. Item in VG+ condition. Shipped Folded. Description: Boxing Gandhis Debut Promo Poster. Size 18x24. Item in mint condition. 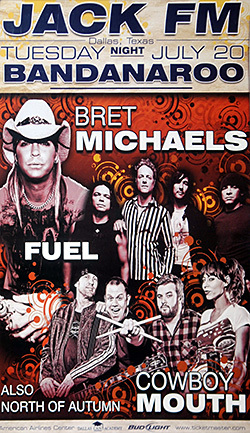 Description: Bret Michaels, Fuel and Cowboy Mouth Jack FM Original Concert Poster. Size 11x17. Item in VG+. 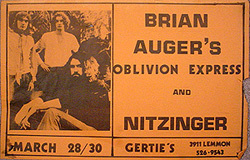 Description: Brian Auger's Oblivion Express and John Nitzinger 1979 Dallas Original Concert Poster. Size 11x17. Item in VG-. 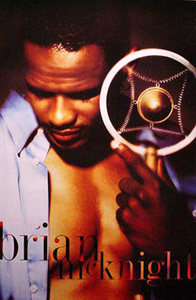 Description: Brian McKnight Debut Promo Poster. Size 24x30. Item in mint condition. 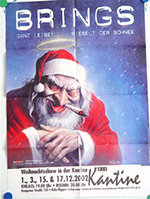 Description: 2002 Brings German Concert Poster. Size 24x34. Item in VG+ condition. Shipped Folded. Description: Britney Spears Tower Records Promo Poster. Size 16x20. Item in VG+ condition.. 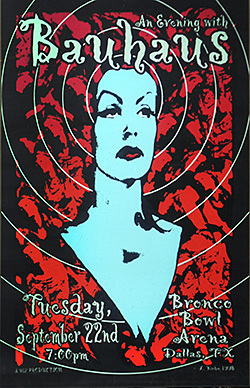 Description: 2002 Britney Spears German Concert Poster. Size 24x34. Item in VG+ condition. Shipped Folded. 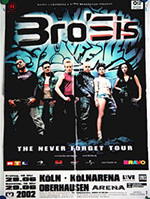 Description: 2002 Bro'Sis German Concert Poster. Size 24x34. Item in VG+ condition. Shipped Folded. Description: Bruno Mars 24K Magic Promo Poster. Size 11x17. Item in mint condition. 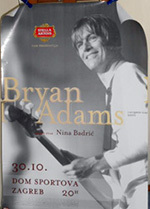 Description: 2001 Bryan Adams German Concert Poster. Size 24x34. Item in VG+ condition. Shipped Folded. 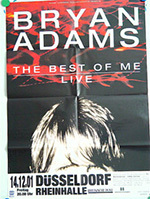 Description: 2000 Bryan Adams German Concert Poster. Size 24x34. Item in VG+ condition. Shipped Rolled. 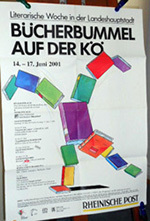 Description: 2001 Bucherbummel German Concert Poster. Size 24x34. Item in VG+ condition. Shipped Rolled. 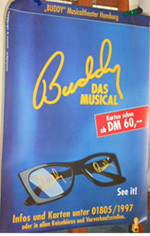 Description: 2000 Buddy Holly Musical German Concert Poster. Size 24x34. Item in VG+ condition. Shipped Rolled. 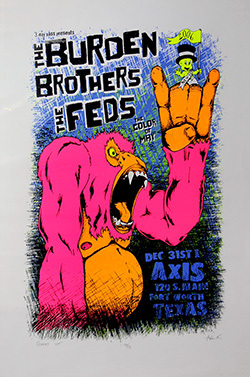 Description: Burden Brothers and The Feds 2005 Original Concert Poster. Size 20x25. Item in VG+ condition. 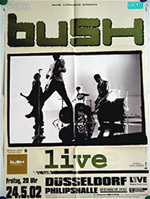 Description: 2002 Bush German Concert Poster. Size 24x34. Item in VG+ condition. Shipped Folded.